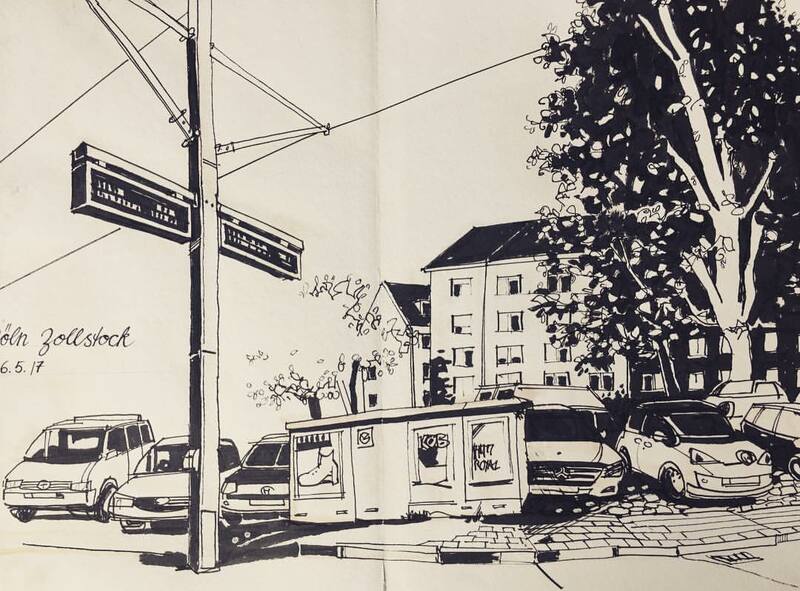 Last week, staying at my sister's place in Cologne, I was sketching this scenery, nothing special, rather boring, a parking place, observed from a seat at a tram-station. Very cool. Love the composition. sehr cool mit den schwarzen Flächen. Tolle und ungewöhnliche Komposition.